Rin, along with his twin brother Yukio Okumura are raised by an eminent priest, Shiro Fujimoto, but one day Rin discovers that their biological father is actually Satan! As the border between "Assiah" (the human world) and "Gehenna" (demon's world) is intruded upon by evils, Rin vows to become the ultimate exorcist to defeat his own father, Satan. To hone his raw skills, Rin enters True Cross Academy to train with other exorcist candidates. 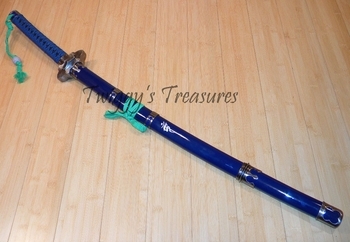 This fantastic sword comes in a Royal Blue with pewter trim. The sageo is Royal Blue over imitation black ray skin with a green cloth dangle with a marble on it. 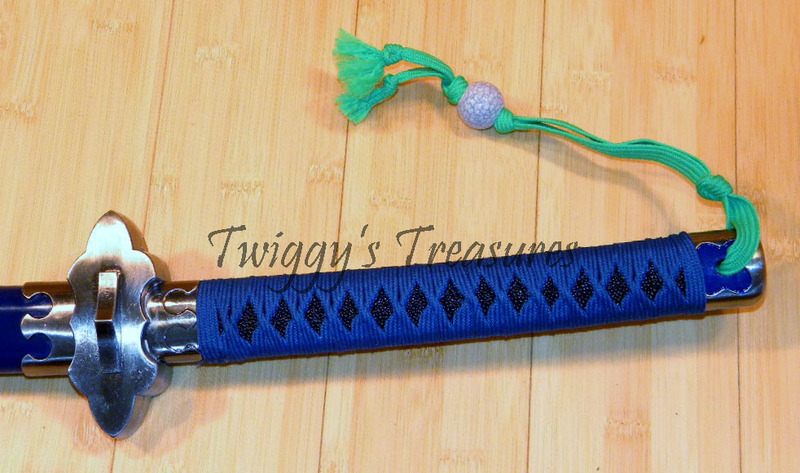 The sword sports a 1045 carbon steel blade and has a blue saya. This will be a great addition to your collection if you are an anime fan. 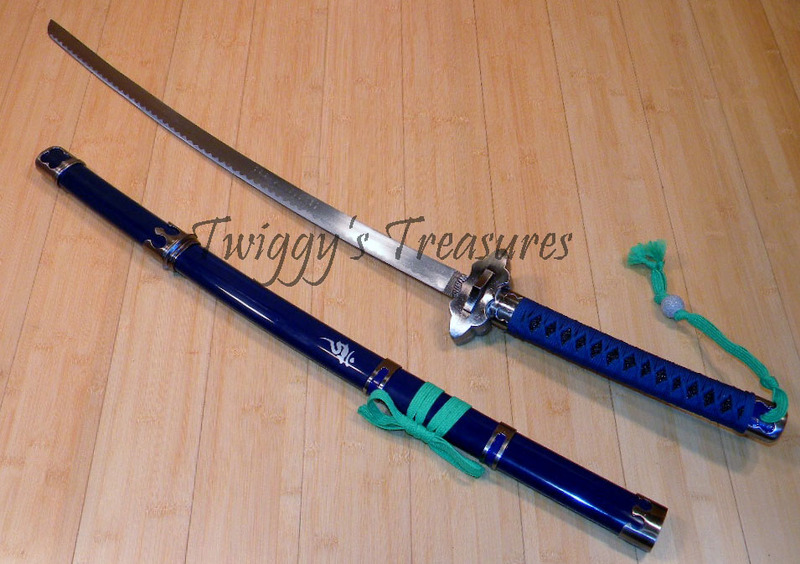 ▪ Overall Length: 42" Out Of Scabbard: 39"